One of the major consumers of energy on farms is the use of motors. Motors are used for irrigation purposes in pumps. They are also used to help in cleaning the barn, milking the cows, grinding feeds and powering the ventilation fans. In the State of California, 55% of farm motors are powered by petrol while the remaining 45% is powered by electricity. Taking steps to save energy on the farm due to energy consumption by motors will go a long way in conserving the environment. The first step in saving energy is to reduce the usage of motors in the first place. This can be done in a number of ways. This includes installing a variable speed drive that can save between 15% to 40% of the energy used. Using a premium efficiency motor instead of a standard motor will help to increase efficiency by 2 to 10%. Having your existing motors optimized will improve performance by as much as 50%. Saving in terms of motors can be done in three broad ways. These are maintaining the motor and testing it, efficient motor and equipment purchases and ensuring an overall efficiency of the irrigation system. The motors of irrigation pumps on a farm should be tested every two or three years. If pumps are working less than 50% of their optimal performance they should be replaced with more efficient ones. Pumps that are working between 55% to 60% may need to have their impeller adjusted or replaced to increase efficiency. This helps in scenarios where pump efficiency and pump demand is mismatched. A small impeller attached to a large motor can prevent over pumping which leads to wastage in energy consumption. Regulating the distance between the impeller and the pump wall will also help in improving energy efficiency. 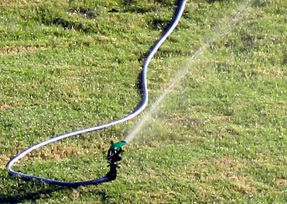 Testing and maintaining the irrigation pumps will be help extend the lifespan of the pump. One point to take into consideration is that when trying to improve pump efficiency at times energy consumption may increase due to an increase in a boost of horsepower. In some instances, buying new energy efficient machinery will reduce the cost of operations and pay back initial investment by savings incurred. The size of the motor needs to be accurately matched with the load requirement it would have to deal with. If the pump is under loaded or over loaded the pump is likely to perform bellow standards. The overall efficiency of the system can be enhanced by taking into consideration the overall design of the irrigation system and the efficiency of all the constituent units. This includes everything down to the basic elbow joints. The use of elbow joints and by passes should be minimized as they impede the flow of water and cause pumps to work harder.